Piper arrived at Argyle as an apprentice from Devon side Hatherleigh in 1963 and adjusted to the rigours of professional football with great ease. He started his career at full-back, but soon made a name for himself in midfield, where his creative talents were best utilised. Piper was considered the bright star in the relatively weak Argyle team of the late 1960's and was named the Player of the Year at the age of 19 in 1966-67. The next season saw him become Argyle's youngest ever captain and he was also selected for the England Under-23 squad, playing in a game against Bulgaria at Home Park alongside the likes of Peter Shilton and Tony Currie. Portsmouth snapped him up a few weeks later for a bargain £40,000. He made over 300 appearances for Pompey and after his release, chose to move to America to play for the Fort Lauderdale Strikers. 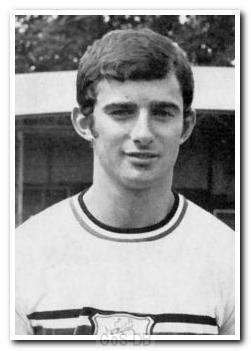 He briefly returned to England with Yeovil Town before a return to the States to play for Columbus Magic, Wichita Wings and Pittsburgh Spirit. Norman Piper was an Argyle star performer from an early age. In his book 'Soccer for Thinkers' the great, and sadly no longer with us, manager of Argyle, Malcolm Allison, rated Norman Piper as one of the hardest working midfield players he had come across. That is true testimony to one of Argyle's best players of that era, from a manager that went on to manage at all levels.